The Beautiful Day arrangement extends your feelings and heart-full wishes to your special recipient with its beautiful display of color and cheer. 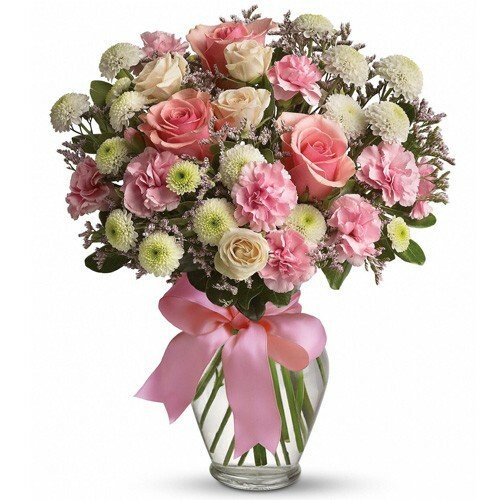 Pink and white roses, and pink miniature carnations are beautifully arranged with lush greens and housed in a clear glass vase. This exceptional floral arrangement is the ideal gift for Mother's Day, to say happy birthday or anniversary, or to extend your get well wishes.